There are many certifications one can get on their journey in the information security world, but few come to the level of training and understanding required to earn the CEH certification. The biggest factor of what makes the CEH such a unique certification is its method of teaching. Unlike other security certifications which teach defensive tactics such as firewall configuration or other forms of preemptive security, the CEH takes an alternative approach. Offenses are featured as your best defense - which is a major difference from certifications that only focus on defensive tactics. The CEH imparts offensive tactics supplemented with defensive countermeasures. This ensures that the CEH professional can have a more holistic security perspective of the organization. What’s the CEH test like? You’ll know within five minutes if you have passed or failed the test and be given a report detailing the sections you did poorly on. 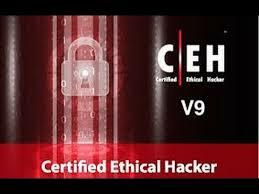 It takes roughly a week to gain your digital certificate and a month to gain your physical certificate along with a welcome letter officially giving you the title of a Certified Ethical Hacker. To give you an overview, I’ve placed some sample questions below. 1. You have been hired to test security for a business headquarters in Chile. Which regional registry would be the best place to go for the network range determination? Answer: The correct choice is D) LACNIC or the Latin America and Caribbean Network Information Centre. There are five regional registries covering the globe that manage and control all public IPs. 2. An ethical hacker is sending TCP packets to a machine with the SYN flag set. None of the SYN/ACK responses on open ports are being answered. Which type of Port scan is this? Answer: The correct choice is C) Half-Open. When an attacker or an ethical hacker is sending packets using the SYN flag it is known as a SYN scan which is also a Half-Open scan. 3. An IDS installed on the network perimeter sees a spike in traffic during off-duty hours and beings logging and alerting. Which type of IDS is in place? Answer: The correct choice is C) Anomaly-based. Intrusion detection systems can only be anomaly or signature based. Anomaly-based systems build a baseline of normal traffic patterns over time and anything that appears outside of that baseline is flagged. Signature-based works by scanning the network looking for already known malicious bytes of code or packets going through the network. 4. A junior security employee tells you a web application has halted. An examination of the syslog shows an entry from the web application indicating the canary word has been altered. What does this message indicate? 5. A WPA2 wireless network is discovered during a pentest. Which of the following methods is the best way to crack the network key? Answer: The correct choice is A) WPA2 is a strong encryption method, but almost anything can be hacked given time. Capturing the password pairwise master key (PMK) during the handshake is the only way to do it, and even then it’s virtually impossible if it’s a complicated password. 6.Which one of the following is a botnet command and control tool? How to get going on the CEH? Jonathan Gibson has a range of experience as a security consultant, network administrator, and web developer. He holds certifications in the security field and has a CEH, maintains a security blog and serves as CTO for a charitable foundation.